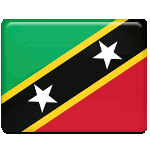 On January 2 the people of Saint Kitts and Nevis celebrate Carnival Day. It is a public holiday also known as National Carnival Last Lap Parade. Nyilog or Nyinlog is the winter solstice celebration in Bhutan which is considered a public holiday. 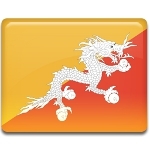 It is celebrated on the seventh day of the eleventh month of the Bhutanese calendar. 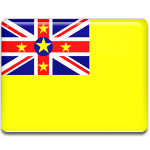 On January 2 the people of Niue celebrate Takai Commission Holiday. Takai is the tradition of driving around the island of Niue in brightly decorated cats and other vehicles. Berchtold's Day (Berchtoldstag) is an Alemannic holiday celebrated in some parts of Switzerland, Liechtenstein and Alsace. 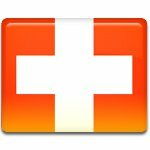 It is celebrated on January 2 and is considered a public holiday in 14 of 26 cantons of Switzerland. 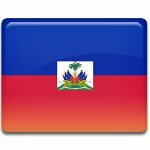 Ancestry Day (Ancestor's Day, Jour des Aieux) is a public holidays in Haiti that commemorates ancestors who sacrificed their lives during the independence struggle. It is celebrated annually on January, 2. Arba'een is a Shia Muslim religious observance which is celebrated forty days after the Day of Ashura, falling on the 20th or 21st day of the Islamic month of Safar. 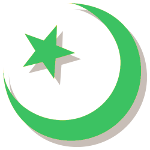 It commemorates the martyrdom of Muhammad's grandson Husayn ibn Ali. Arba'een is a public holiday in Iran. 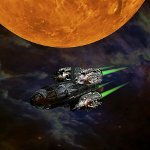 National Science Fiction Day is an informal holiday celebrated by many American science fiction fans. It falls on January 2, the birth anniversary of Isaac Asimov. The USA is famous for its foods holidays, many of which are unofficial but are still quite widely celebrated. 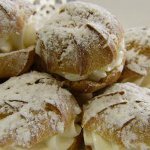 National Cream Puff Day is one of them, it falls on January 2. This holiday is dedicated to a French pastry also known as choux à la crème or profiterole. 2013 Died: Ned Wertimer, American actor. He is known for his role as Ralph Hart in sitcom The Jeffersons, one of the longest American sitcoms ever. 2006 A coal mine explosion in Sago (Upshur County, West Virginia, USA) trapped 13 miners for nearly two days, 12 of them were found dead. 2005 Died: Maclyn McCarty, American geneticist. He studied infectious disease organisms, but best known for his monumental discovery that DNA constituted the chemical nature of a gene. 2004 A 300-kilogram robotic space probe Stardust encountered Comet Wild 2 and successfully collected dust grain samples, that later were returned to Earth. 1999 A strong winter snowstorm struck the Midwest US and parts of eastern Canada. It produced 22 inches of snow in Chicago. The storm was nicknamed the Blizzard of 1999. 1983 Born: Kate Bosworth, American actress, mostly known for her role Lois Lane in Superman Returns. 1981 The "Yorkshire Ripper", a British serial killer Peter William Sutcliffe, arrested in Sheffield, South Yorkshire. He murdered 13 women and attempted to kill 7 others. 1978 Born: Karina Smirnoff, Ukrainian-American dancer. Best known as a professional dancer on U.S. TV series Dancing with the Stars. 1977 Died: Erroll Garner, American pianist and composer. His ballad "Misty" has become a jazz standard. 1976 The Gale of January 1976, also known as "Capella Storm" in Germany and the Ruisbroek flood in Belgium, began. It resulted in at least 82 death and $1.3 billion damage. 1975 Born: Dax Shepard, American actor, comedian, writer and director. He's best known for his works in Hit and Run, Let's Go to Prison, Without a Paddle. 1975 Lalit Narayan Mishra, Minister of Railways in the government of India, was fatally wounded in a bomb explosion at Samastipur. He died next day in the railway hospital at Danapur. 1967 Born: Tia Carrere, American actress, model, voice artist and singer. Her biggest roles were in Lilo & Stitch, Duck Dodgers, Relic Hunter. 1952 The Soviet Union launched Luna 1, also known as Mechta ("Dream"), the first spacecraft to be placed in heliocentric orbit, and the first spacecraft to reach the vicinity of the Moon. 1950 Died: Theophrastos Sakellaridis, Greek conductor and composer. He was the basic creator of Greek operetta. 1947 Born: Jack Hanna, American zoologist. He's one of the most notable zoologists in the United States. 1942 The Duquesne Spy Ring, a German espionage network headed by Frederick "Fritz" Joubert Duquesne, was sentenced to serve a total of over 300 years in prison by the Federal District Court, Brooklyn, New York. 1935 Born: David McKee, English writer and book illustrator (chiefly children's books and animations). 1924 Died: Sabine Baring-Gould, English scholar and author. He's remembered as a writer of hymns. 1920 Died: Paul Adam, French novelist. He's best known for series of historical novels that dealt with the time of Napoleonic Wars. 1920 Born: Isaac Asimov, American chemist and author. He's best known for his popular since books and for his works in since fiction. 1904 Died: James Longstreet, American general. He was one the of the foremost Confederate generals of the American Civil War. 1892 Died: George Biddell Airy, English mathematician and astronomer. Know for his work on planetary orbits. He established Greenwich as the location of the prime meridian. 1891 Born: Giovanni Michelucci, Italian architect, designer and urban planner. He's knows for his famous project the Firenze Santa Maria Novella railway station and San Giovanni Battista church. 1890 Born: Henrik Visnapuu, Estonial poet and dramatist. 1876 Born: Thérèse of Lisieux, French nun and saint, known as "The Little Flower of Jesus". 1868 Died: John Doyle, British painter. Best known for his political cartoons. 1855 Died: Léon Philippe Teisserenc de Bort, French meteorologist and a pioneer in the field of aerology. He's known as co-discoverer of the stratosphere. 1833 The United Kingdom re-asserted its sovereignty over the Falkland Islands, an archipelago in the South Atlantic Ocean on the Patagonian Shelf, although Argentina maintained its claim to the islands. 1777 The Battle of the Assunpink Creek, also known as the Second Battle of Trenton, took place. It was a battle between British and American troops during the American Revolutionary War which resulted in an American victory.